Sheri Cook is a deaf woman who obtained her Bachelor’s degree in Deaf Education and a Master’s degree in Applied Linguistics. She taught deaf and hard of hearing children at the Wisconsin School for the Deaf and in Southern Illinois. Sheri was a consultant and trainer for the Illinois School for the Deaf Outreach Program and taught American Sign Language and Deaf Studies courses at John A. Logan College in Carterville, Illinois and at Southern Illinois University in Carbondale, Illinois. In the fall of 2010, Sheri became the new director of Gallaudet University Regional Center for the Midwest at John A. Logan College. 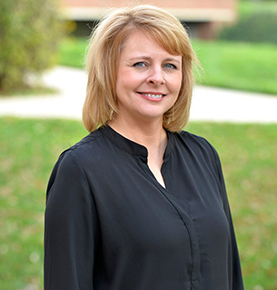 She is currently serving 14 Midwest states and collaborates with many schools and programs to promote their connection with Gallaudet and the Laurent Clerc National Deaf Education Center. Over 80% of deaf or hard-of-hearing (DHH) students in the U.S. are mainstreamed in public school programs. Just a few of these students learn about Deaf identities, have deaf friends and deaf role models. Many mainstream DHH students feel isolated because they are placed in educational settings that are unfamiliar with deafness and are not equipped to meet DHH students’ social and emotional needs. The presenter will discuss her personal struggle as a deaf person growing up in different mainstreamed educational settings. She will explore various ways mainstreamed DHH students can meet other deaf people and discover their Deaf identities. Be aware of what it is like for most deaf/hard of hearing children in the general school environment. 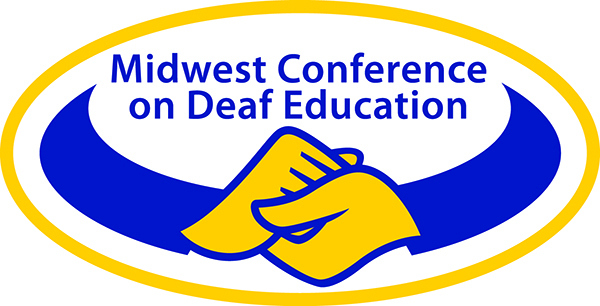 Learn how to incorporate activities related to identities and Deaf culture in a mainstream environment. This presentation is for families and professionals working with young children who are deaf and hard of hearing (age 0-5). The participants will discover that before children can read independently, they need emergent literacy skills. The presenter, Sheri Cook, will discuss research and the impact of family involvement in a deaf/hard of hearing child’s language acquisition skills. She will describe details of how her parents and grandparents contributed to her and her deaf sister’s language and academic development. She will also share various tips and activities. Identify specific early literacy skills that provide the foundations needed for the development of later academic skills. Discuss the importance of a deaf/hh child’s access to complete and consistent language in order to develop proficient reading and writing skills. Explore various tools and activities that can be utilized during a child’s early years to promote strong literacy skills. Learn about 15 Principles for Reading to Deaf Children by the Laurent Clerc National Deaf Education Center and other reading tips and resources.